Hardly is there a business owner in the world today who has not heard of WordPress. It is a content publishing system that is open source or free. In 2003, it was created by merging the platforms by entrepreneurs and developers Matt Mullenweg and Mike Little. Consequent to its creation, each subsequent upgrade has incorporated powerful features such as mix-and-match plugins, media management, widgets, built in theme installation and static pages. WordPress is free to use, redistribute and edit. This is the reason why its original source codes are publicly available. There is no validity limit on WordPress. It is easily downloadable from its official website. Most hosting companies provide a one-click installation solution for WordPress. The CMS is written with code which is of very high quality. It leads to semantic markup which in turn makes any site rank higher in search queries and if that isn’t enough, WordPress can be further made even more SEO friendly by using the SEO Plugin. If a business chooses to be competitive on the internet, it needs to be mobile friendly. Given the fact that an overwhelming majority of internet users access the web via their smartphones, websites that are trying to attract their key demography not only have to be mobile friendly but have to also provide an engaging and enriching experience to their customers on the small screen. WordPress by its very design is 100% responsive and will adapt to any and all screen sizes. Themes allow users to have a well built and good-looking website at the click of a button. Whether it be a full-featured powerhouse that has prepopulated images and content or minimal and lightweight frameworks, themes run the entire gamut. With the help of a theme, even an amateur can build a professional website within minutes. WordPress is primarily used as a blogging platform that allows web developers and webmasters to use the same to extract external links. This means this platform can greatly benefit any site that they are trying to improve. Today, it is one of the best web content solutions when it comes to blogs and as a content management system, it powers a wide array of websites. The blogging page can also be used for business reviews, advertisement, business sites, announcements and job boards. With WordPress, the options are unlimited. 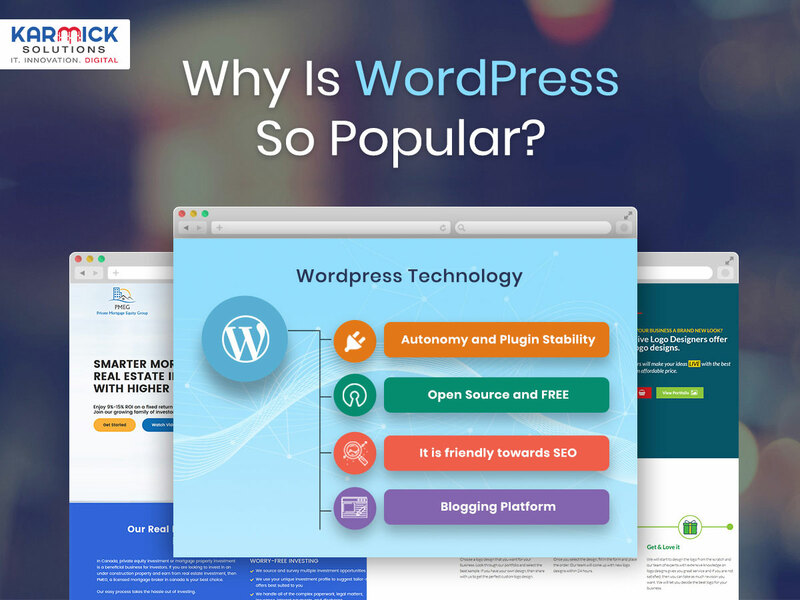 As is quite clear from the aforementioned points, WordPress is a hugely popular CMS with umpteen number of developers using the same to offer solutions to their clients. With every passing day, more and more programmers are adopting WordPress as their go-to CMS framework.